UPDATE: Spotify finally launches in America | What Hi-Fi? After two years of wrangling with the record companies, Swedish streaming music service Spotify finally launches in America today. The US launch depended on signing deals with the four big record labels – Universal, Sony, EMI and Warner Music – with the latter only completing a deal this week. Free accounts will be limited in the US to invitation-only, but there'll be an ad-free version for $4.99 per month and premium account with mobile access for $9.99 per month (it's £9.99 in the UK), both of which will be unrestricted. • Sonos has also announced that US owners of its multiroom streaming systems will now be able to access and play Spotify if they have a premium account. Spotify has officially confirmed that it's set to launch in the US. The Spotify website declares the music streaming service "will soon be landing on US shores" and invites users to register for an invite. Spotify launched in the UK with a similar invite-only approcach before branching out to offer free and paid-for membership options. After a round of funding – see below – it appears the company is ready to take the plunge in the US. 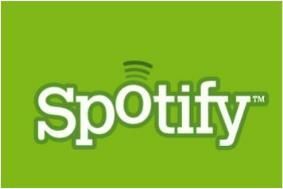 With the streaming music service appearing on more and more devices – a deal with Virgin Media to appear on cable TV boxes was announced earlier today – it remains to be seen how the US launch will affect Spotify. Spotify, the popular music streaming service, has apparently been valued at around $1bn (£616m), according to MediaGuardian, as it gears up for a US launch. That's despite the fact that it's never made a profit, recording a loss of £16.6m in 2009. The online music site is reported to be seeking $100m in funding from Facebook investor Digital Sky Technologies (DST) and Silicon Valley firm Kleiner Perkins, which owns a stake in Twitter. It needs the money to fund its long-awaited launch in the US. The service hopes to build on its rapid European expansion, where 10 million people use its advertising-funded service for free. Earlier this week it was reported that both EMI and Sony had finalised a US expansion deal with Spotify, but that Universal – which is the world's largest music label – and Warner were still not on board. Spotify's $1bn valuation is (relatively) small fry compared to Facebook's recent $50bn figure, and estimates that Twitter could be worth $10bn.